From H-58 just north of Melstrand turn left onto the gravel road marked by the Chapel Falls sign. Follow the signs about 6 miles to the Chapel Falls parking area. The trail is marked from the parking area, and is about 1.3 miles. The trail is very good, like a road. 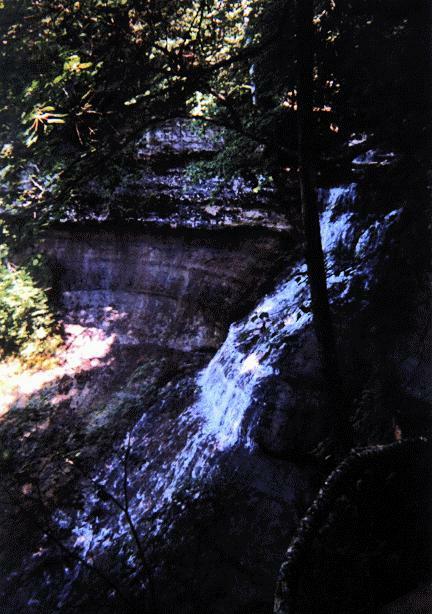 You can view the falls from the viewing platform before you reach the falls. That is where this photo is from. You can continue past the falls to a foot bridge across Section Creek. 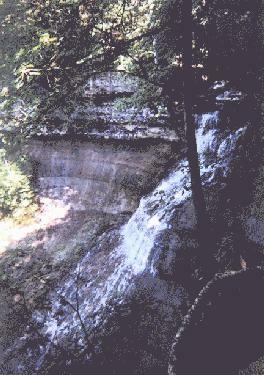 From across the creek is a good view of a smaller falls just below the bridge, upstream from the larger falls (see picture below). You can continue along the trail for another view of the falls. 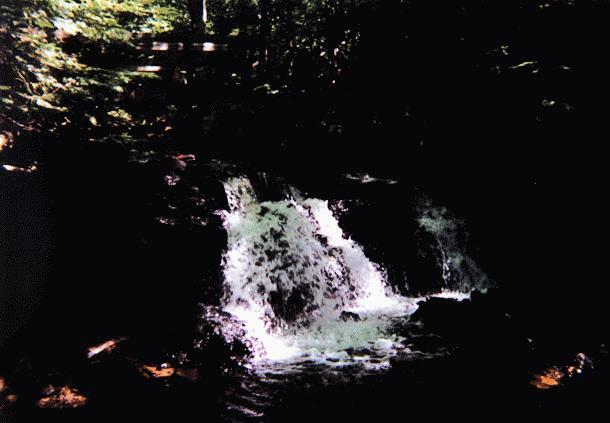 See also Mosquito Falls, which you can get to from the same parking lot. Here's another photo I took at Chapel Falls. this is the smaller falls just below the foot bridge.